Iceland was generally acknowledged as a sovereign state in 1918 but it was not until 1944 that it cut its last ties with the Danish crown and became fully and formally independent. Before the Second World War, the Foreign Office leased a house next to the sea in Höfdi as a residence for consuls-general. The Post was upgraded to a legation in 1940, and the Office of Works bought this house in 1941 for £5,300. In 1952, it replaced it with 33 Laufásvegur, bought from the heirs of Mr and Mrs Haraldur Arnason for £29,000, a comfortable three-storey, five-bedroom family house. The concurrent sale of the Höfdi house was complicated by the purchaser, the International Order of Good Templars, deciding after signing the contract that the house would be less suitable as a clinic for alcoholics than it had imagined: they succeeded, however, in arranging for a local merchant, Ingólfur GS Esphólin, to take over their contract. The new residence was enlarged in 1954. 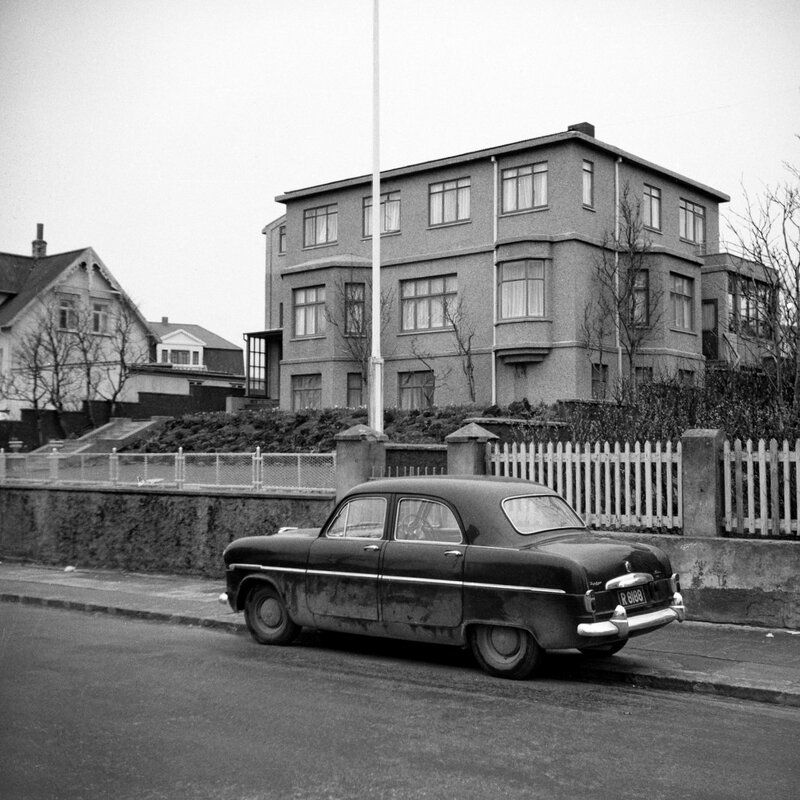 The first secretary’s house at 51 Laufásvegur was already being leased in 1957 when its adjoining property, 49 Laufásvegur was jointly leased with it and became the offices. By the late 1960s, they were no longer satisfactorily housed in 49 Laufásvegur and a new site was required. The property adjoining the residence, 31 Laufásvegur, was therefore bought in 1970 for £20,000 for the construction of new offices. 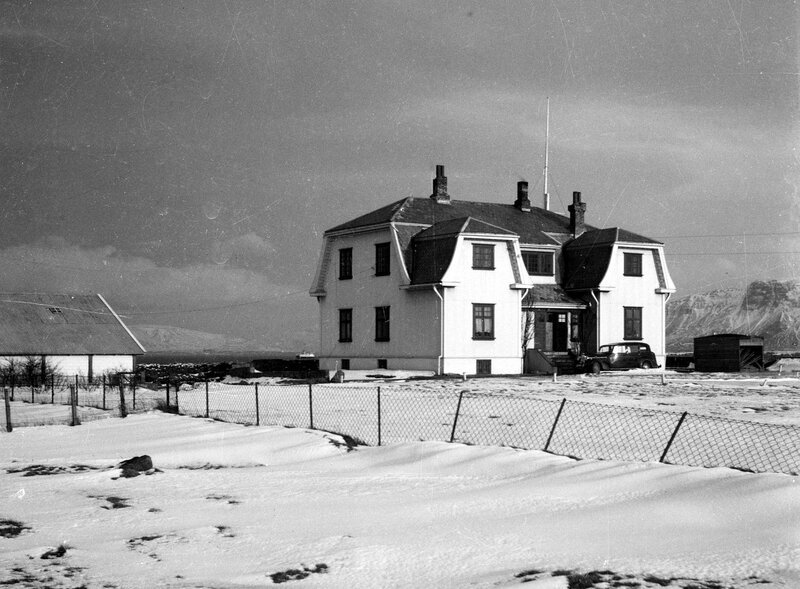 (The farmhouse that stood on the site was given to the Reykjavik Museum and now stands as the custodian’s house at Árbæjarsafn.) Nevertheless, the scheme to build on this new site was not proceeded with and the site lay fallow until the early 1990s, when a scheme that reflected two managerial pre-occupations – co-location with other countries’ embassies and public-private partnerships – was devised for co-located British and German embassies, with some common spaces and facilities, to be built as one project on the site. [? Architect.] It was built by an Icelandic construction company, Istak, and opened on 2 June 1996, in the presence of Secretary of State Malcolm Rifkind, Minister of State at the German Foreign Ministry Werner Hoyer, and Icelandic Foreign Minister Halldor Ásgrímsson. The residence at Hofdi, 1951. 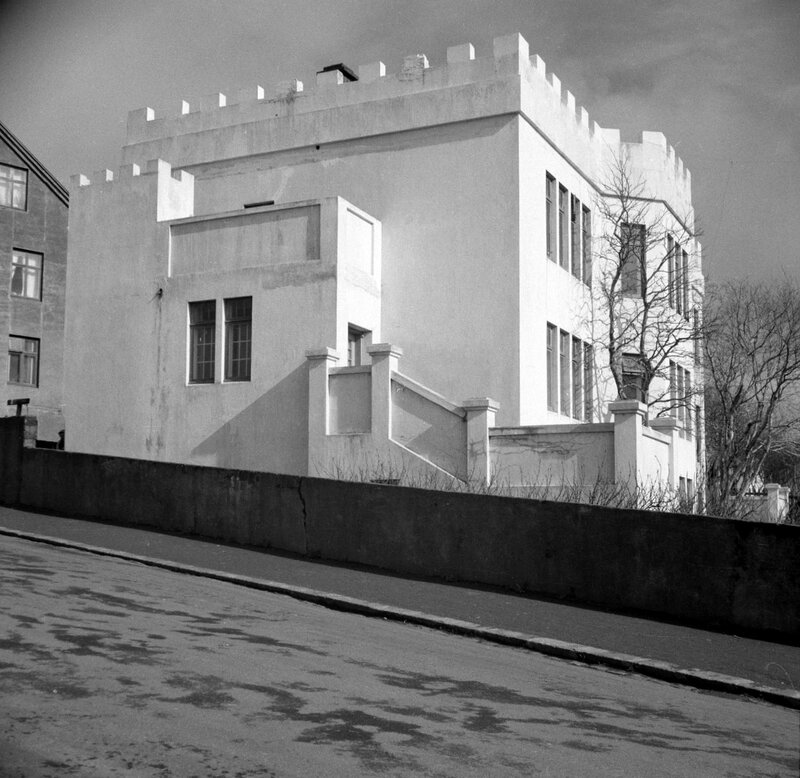 First secretary house, 51 Laufasvegur, 1957.